Several hundred people gathered Tuesday outside the Kremlin walls to commemorate 40 days since the killing of a Russian opposition politician that shook the country. Boris Nemtsov was shot dead late in the evening of Feb. 27 steps from Red Square. It remains unclear who organized the attack. 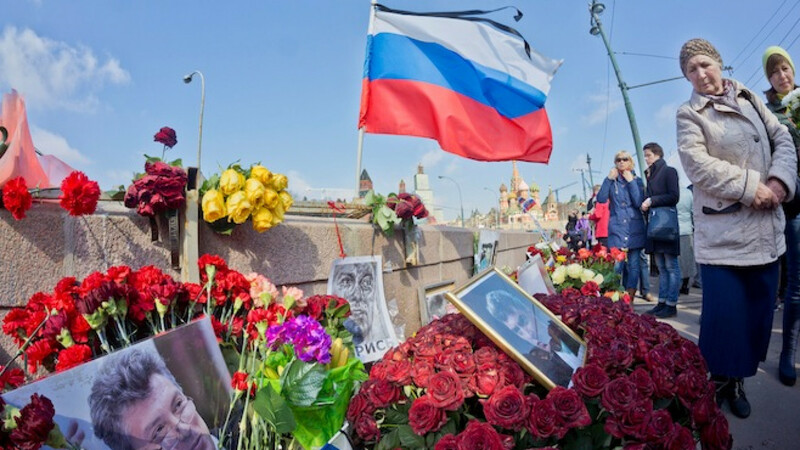 The bridge where Nemtsov was gunned down was packed Tuesday morning with his supporters, who brought flowers and candles to the spot where he was killed. Passing cars were honking their horns at 11 a.m. local time, a designated moment of commemoration. Some drivers put up pictures of Nemtsov in their windshields as they drove by. Tuesday marked the 40th day since the politician's killing and is regarded as the final commemorative date in Orthodox Christian tradition. Nemtsov's killing triggered one of the largest opposition protests in years, with people blaming the Kremlin for fostering a climate of hatred in the country as President Vladimir Putin rallies his support base against what he describes as the hostile West. The politician's close friend and ally Ilya Yashin argued Tuesday that Nemtsov's killing was orchestrated in order to "instill fear into that dissenting segment of the society, that segment which does not support the president's policies." "We want to show that they will not make us scared," Yashin told reporters on the bridge. "We want to show that we will manage to turn Russia into the country that Nemtsov was fighting for, that he died for in the end and that he would not feel ashamed of." Five suspects, all from the predominantly Muslim republic of Chechnya, have been detained for the murder. Supporters of Nemtsov, however, believe that by casting blame on Islamic extremists, investigators are attempting to shift responsibility away from the government and onto a minority with a controversial reputation. Chechnya suffered two intense wars over the past two decades between Russian forces and separatist rebels increasingly under the sway of fundamentalist Islam. That has reinforced the stereotype among many Russians of Chechens as violent extremists. 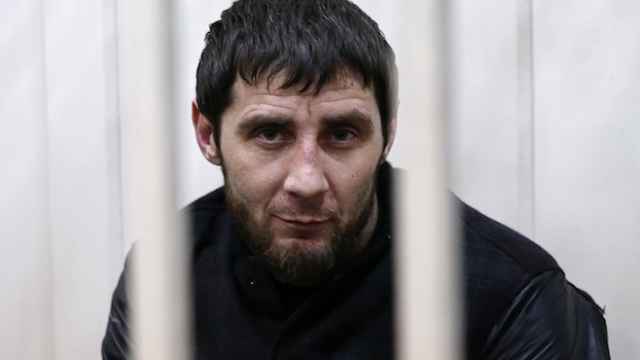 The key suspect, Zaur Dadayev, told a court last week that he had been beaten and pressured to confess. Dadayev had been an officer in the Chechen police troops, supervised ultimately by the republic's leader Ramzan Kadyrov. Yashin told The Associated Press that investigators may have found the man who pulled the trigger but the mastermind is still on the loose. "Those people directly responsible for organizing the murder are now in Chechnya under protection of Kadyrov and his militia," Yashin said. "If the people who ordered the killing are not sent to prison, they will believe in their own impunity and their right to solve problems in any way they please." In an interview with the Ekho Moskvy radio station on Monday, Nemtsov's lawyer Vadim Prokhorov said it makes sense that the murderers were hired and possibly paid 15 million rubles ($270,000). Prokhorov added that the murder investigation should be conducted more thoroughly in Chechnya, where the main suspects are from, and that lower-ranking troops in the Interior Ministry should be questioned in addition to the high-ranking ones already examined. Meanwhile, Yashin wrote on Twitter on Monday that he had filed a criminal complaint against the popular Izvestia newspaper over a report he claims was based on false information. The newspaper on April 2 ran an article claiming Yashin was trying to capitalize on Nemtsov's name. The article said that Yashin, a high-profile opposition activist and personal friend of Nemtsov, had filed a patent request for a drink brand to be called "Nemtsovka." But that same day, Yashin wrote on Facebook that the request had been falsified.